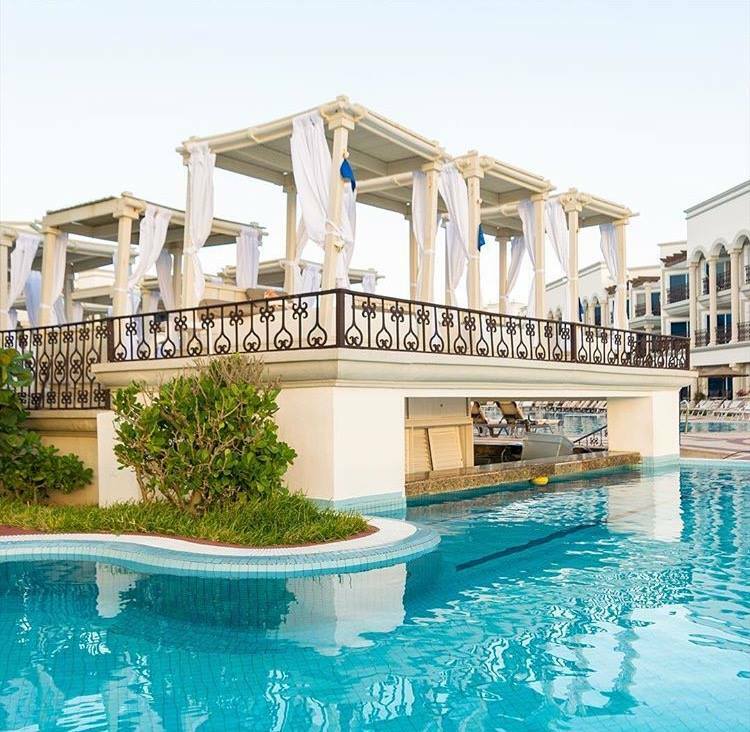 Why leave the pool when you can saddle up to a swim-up bar to get your drink on? Below we highlight our top Mexico and Caribbean resorts with a swim-up bar to keep you cool while you work on that buzz. Grab a cold one from Catalonia Bavaro Beach‘s swim-up bar. You will want to stay put because of the entertaining bartenders and delicious fruity drinks. This relaxed property includes a gorgeous beach, a golf course, and room balconies with private hammocks. Le Blanc Spa Resort is the Palace Resorts brand’s most upscale property and one of the most luxurious all-inclusive resorts in Cancun. The swim-up bar is situated near the infinity pool’s edge, so you won’t have to leave the cool water or scenic view to grab a cocktail. 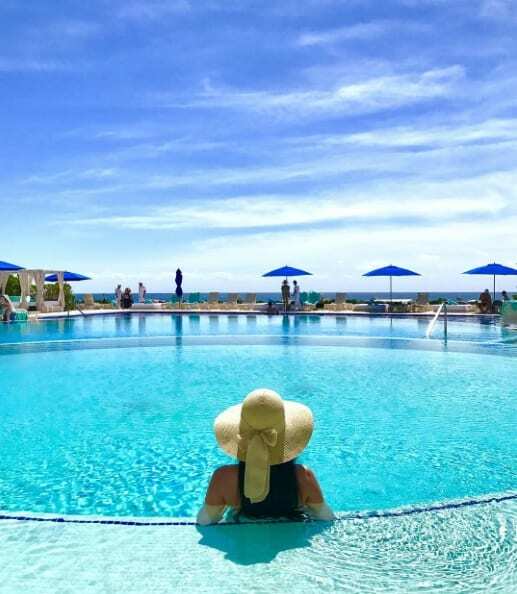 The peaceful pool area at Live Aqua Beach Resort has interconnecting pools and a beachfront infinity pool with a swim-up bar. 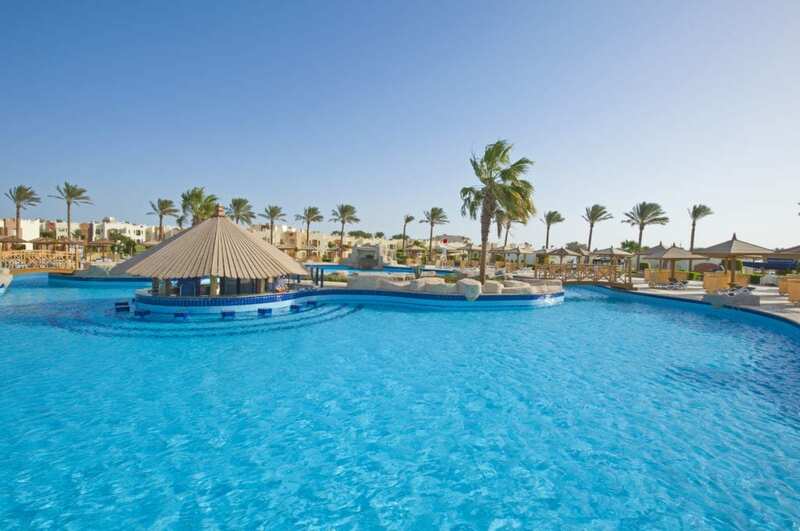 Besides the beautiful pool, guests will love this resort for it’s design and layout. The lobby and rooms are full of Mexican pop culture and traditional Yucatan tiles. Between the building and the beach sits a lush mangrove area with pathways leading to hidden-away restaurants. 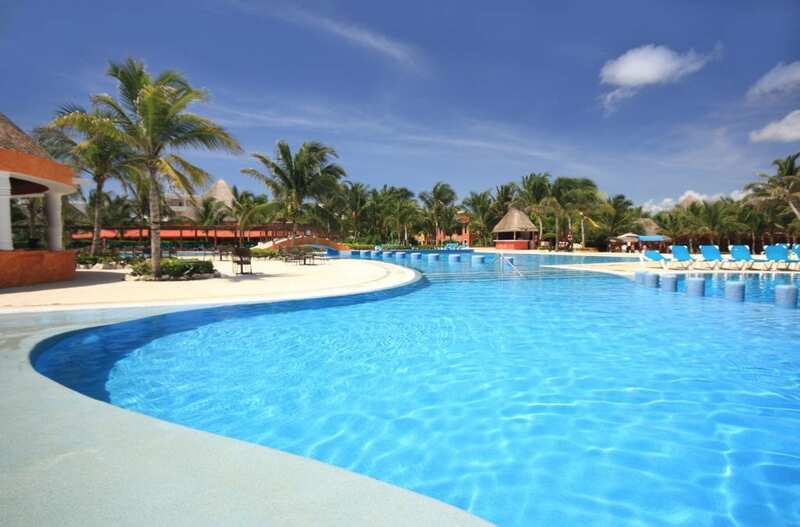 The pool area at the Royal Playa del Carmen snakes through the middle of the resort and boasts two swim-up bars. Guests return to this luxurious resort for its downtown location steps away from Playa del Carmen’s Fifth Avenue. In addition, the service and the food at this Playa Resorts property is top-notch. Formerly known as Sandals Whitehouse European Village & Spa, Sandals South Coast re-launched in late 2016. 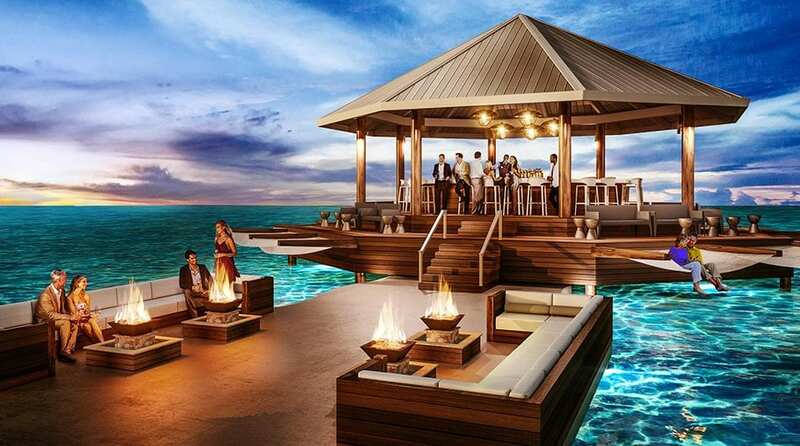 Most Notably, this resort is now home to Sandals’ first over-the-water bar, Latitudes. Here you can enjoy your drinks suspended above the Caribbean sea in a hammock. Sandals South Coast also introduces “Bar-Tender”, a floating swim-up bar to deliver your cocktails to you in the ocean. An excellent value resort, ClubHotel Riu Negril offers a low-key beach, fully-stocked minibars, and a solid buffet,.The swim-up bar is likewise more low-key than other resorts’. It is perfect for couples looking for an affordable getaway. 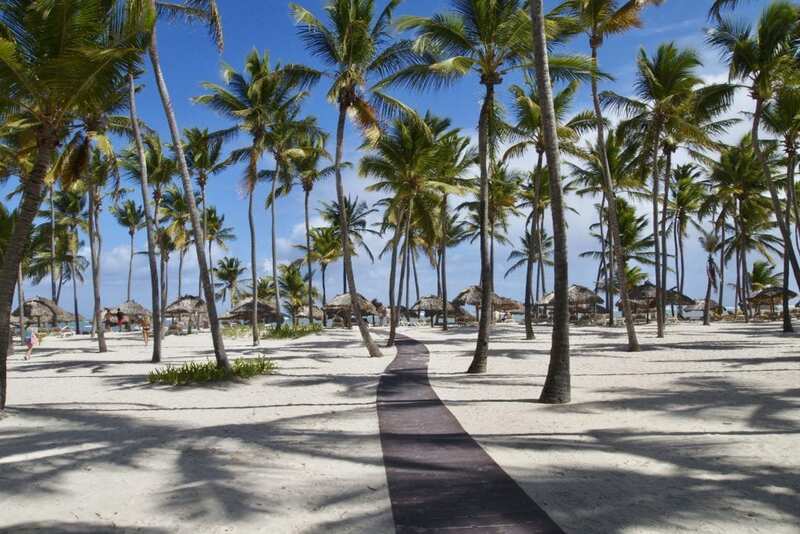 Dreams La Romana is part of the Dreams Moremaculate megaresort. The resort features a large kids’ club, award-winning restaurants, and a great cocktail menu with premium liquor. With so many resorts to choose from, it’s easy to get overwhelmed. Get in touch with an Enchanted Honeymoons travel agent today about all-inclusive packages in Mexico and the Caribbean! You can also reach us at 402-281-3022.